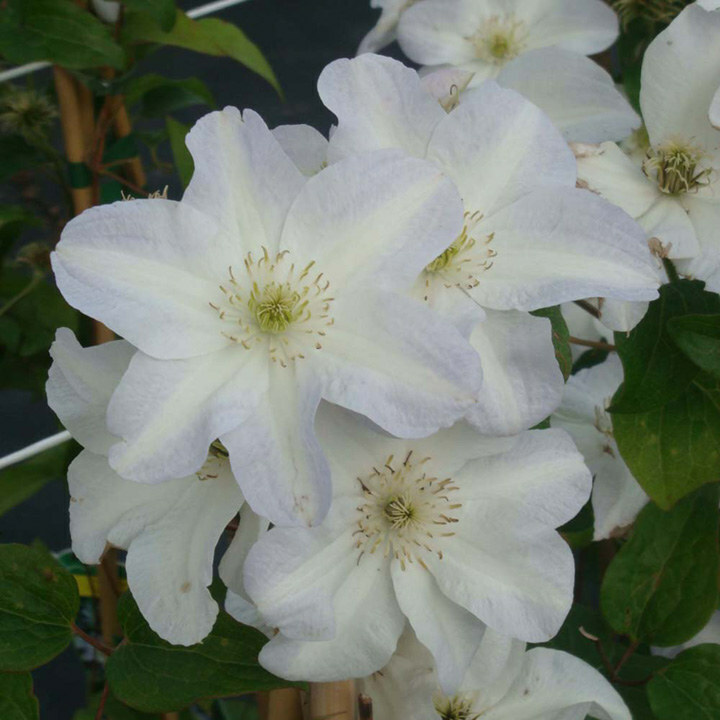 Clematis 'Yukikomachi'- meaning 'Poetess of the Snow', is a large flowered clematis, with blooms of white with a blue hue on the petal margins and pale yellowy-green stamens. Flowers from early summer right through to mid-autumn. Followed by silky seedheads into the winter. Foiliage are medium-sized, oval and mid green. Grow in a deep container, or in a wall-side border. Height 150-200cm. Supplied in a 3-4 litre pot.